The Stice Team would like to share our newest listing at 118 Kulalani Circle (MLS# 352968), which is a 4 bed/4 bath home of about 2,240 sq.ft. of interior living area on a 8,015 sq.ft. 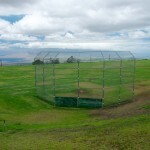 lot in the heart of Kula. The interior and exterior of this home are clean, in very good structural condition, and aesthetically pleasing all making it an excellent value in Kula in move-in condition. 118 Kulalani Circle is a two-story home that has attractive curb appeal, ample yard space, and a flexible floorplan We have been getting quite a few showing requests on the property and with a Hawaii Life Value Score of a 95 out of a possible 100 points, I don’t see this property lasting long, especially with as much demand as there is for properties in Kula. 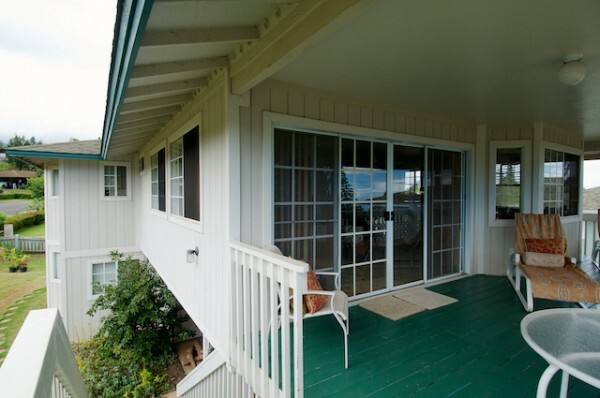 118 Kulalani Circle (photos and full listing details here) is well situated for multi-generational living, or for deriving supplemental rental income. The kitchen, dining, master bedroom, and two other smaller bedrooms are all on the top floor. The living/dining area is an open concept featuring a wood burning fireplace, bar stools that abut the corian counter tops, plenty of cabinet storage place, and slider doors that provide a seamless transition to the large covered deck. There is a large covered deck just off the living room which is ideal for entertaining, relaxing, or outdoor dining in the ideal Kula climate. There is a peek-a-boo ocean view to the north from this covered deck area. This large deck is over 300 sq.ft. and sits above the two-car carport, exterior storage area, and the laundry room at the downstairs entryway. The downstairs bedroom, which can be accessed from the interior staircase of the home or by means of the exterior slider that you see here, is set up as its own living unit with a wet bar and full bathroom. 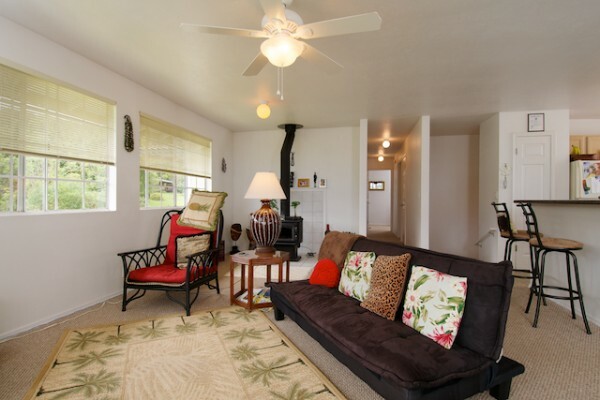 There are plenty of windows allowing in excellent natural light and the cool Kula cross breezes. Many people regard Kula as the ideal climate in Hawaii as it is certainly a bit cooler that everywhere else and the soil is certainly the best on the island making personal gardens for strawberries, lettuce, sweet onions, and flowers very popular. Rice park pictured above was one of my favorite places to go as a kid to run around and enjoy with my two younger sisters and my friends. One of our favorite things to do was to grab flattened cardboard boxes and slide down the grassy slopes on our backside giggling and smiling the whole way down. As I grew older, I enjoyed parking at Rice Park and running a couple miles up towards Keokea up past Grandma’s Coffee Shop and out towards Ulupalakua. The cool air, higher elevation, and rolling hill terrain making this perfect for running or cycling. The views from Rice park are just outstanding and this is a great place to get together with friends and family for picnics. 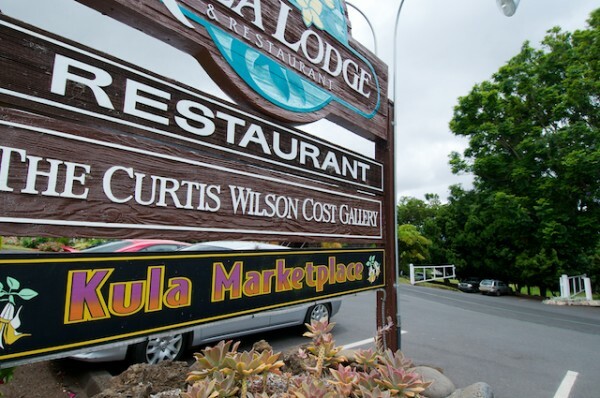 Just up the road from 118 Kulalani Circle is the Kula Lodge, the Curtis Wilson Cost art gallery, and the brand new Kula marketplace. The Kula Lodge and Restaurant is a quaint boutique destination to meet and enjoy time with visiting friends or family members. 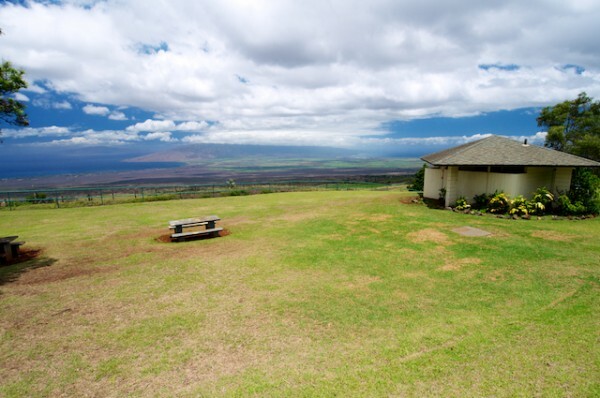 Enjoy beautiful vistas as well as clean, crisp, and cool air while dining at the Kula Lodge. The Kula Marketplace is a great place to pick up a salad or sandwich on the go, or some of the finest pastries, jams, and chocolate that Upcountry Maui has to offer. 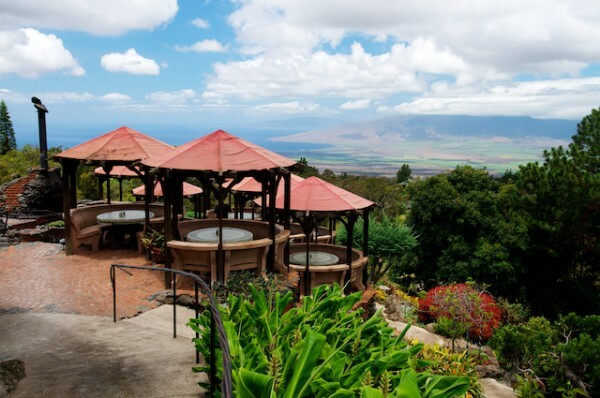 I have visited Haleakala (the house of the sun) as one of my 10 Reasons Why Maui is Priceless and I am certain you won’t be disappointed, especially if you top the experience off by eating at the lodge afterwards. Entitled Mala-Mauka by Curtis Wilson Cost, this painting personifies what I feel is the essence of Kula – wide open pasture land with blooming jacaranda trees, horses and cattle grazing, and breathtaking vistas in every direction. 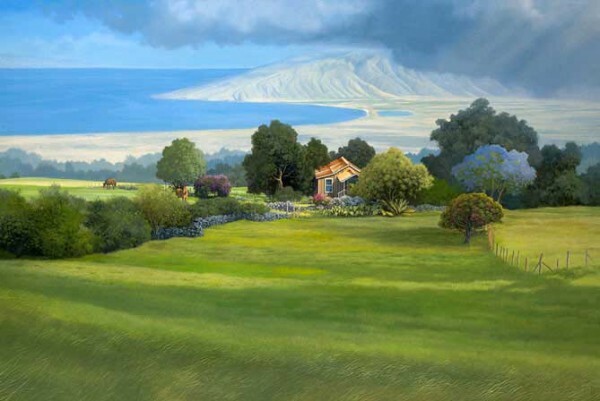 Curtis’ gallery is just a short walk from 118 Kulalani Circle and I can’t think of a better way to decorate a new home than with a couple of his paintings of Upcountry Maui Life. 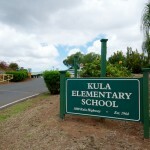 118 Kulalani Circle is just a couple minutes away from Kula Elementary school which is consistently rated as one of the top public schools in all of Maui. 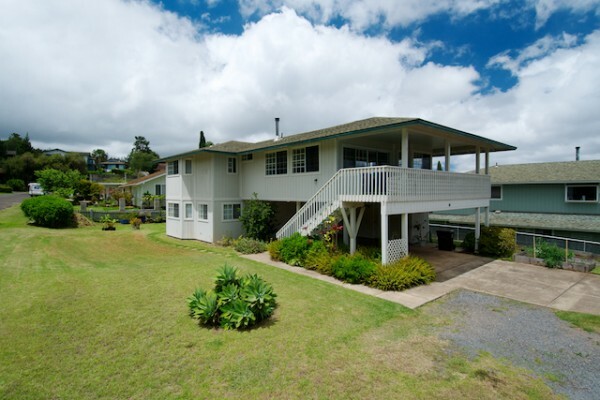 Also worth mentioning is that this home is within a couple miles of both the Haleakala Waldorf School and Seabury Hall (where I went to high school) which are both excellent private institutions. Our most recent residential statistics demonstrate that the average price for a Kula home is now $853,515 up 12% from this point last year and the median home price is $650,000 up 20% from last year. 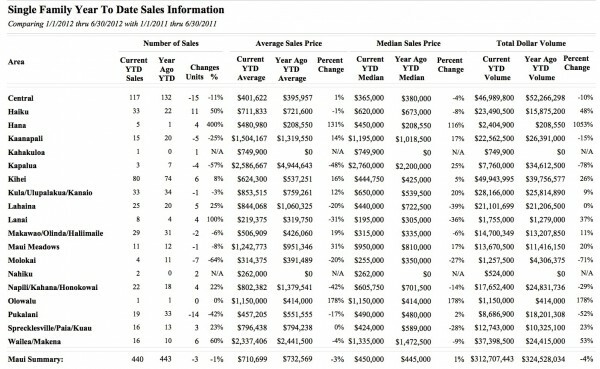 Also noteworthy is that the overall residential units sold in Maui for the month of June were 86, which is a 14 month high and the overall median price was at $575,000, which is the highest it has been in 46 months. With interest rates at all time lows and a market that has already started to recover, the time to act is now. As I mentioned earlier, the Hawaii Life value score grades 118 Kulalani Circle as a 95 out of a possible 100 points – anything above a 90 I consider to be a pretty strong buy. 118 Kulalani Circle is an excellent value at the listing price. Why? One of the most elementary economic principles, supply and demand. 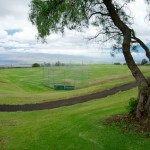 The Kula real estate market, just like many others in Maui and the state of Hawaii, are experiencing heavily diminished supply levels as inventory is being absorbed very quickly and international and domestic demand remains very strong, especially for well priced and well conditioned properties such as this. 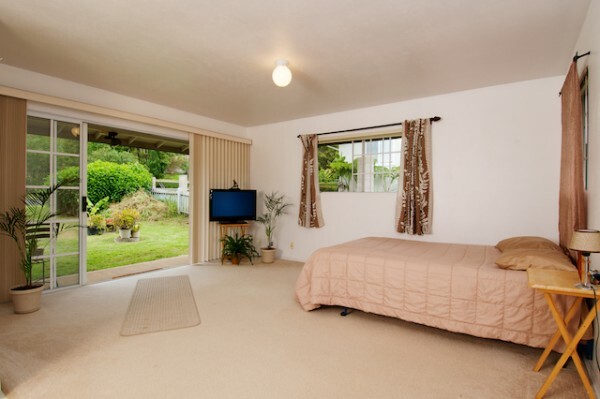 Please let us know if you have any questions about 118 Kulalani Circle, whether it is about what the house has currently been rented for, what the property taxes are, or just about what living in Kula is like and we would be happy to help.